Preventive dentistry is more than just an area of dental practice. It’s a partnership between dentist and patient. Dr. Greg Larsen believes that his role goes far beyond merely restoring your teeth after decay. He’s passionate about working with you to ensure that your smile is as healthy and happy as possible. Through a combination of thorough dental exams and patient education, he’s been successful in meeting that goal for hundreds of people from in and around Sandy, Utah. Call the office to schedule your next appointment. Preventive dentistry focuses on taking care of your teeth to optimize dental health and prevent decay. The American Dental Association and many other organizations advise regular dental visits to maintain optimal oral health. Brushing and flossing are critical to keeping your teeth and gum tissue clean and free of bacteria and plaque. 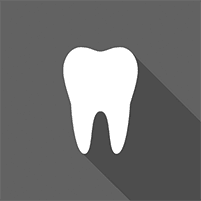 There are many toothbrush and floss products available, making it easy to find a favorite. Toothbrushes should be replaced three to four times each year, or whenever there is visible wear on the bristles. When it comes to flossing, there are flat “tape” styles, disposable flossers, and systems that use replaceable flossing heads. Preventive dentistry begins even before your infant’s teeth emerge. Parents should start gently massaging their baby’s gums using a damp infant washcloth or a soft brush. That not only removes plaque and bacteria from the mouth but also helps your child get used to the routine of brushing. During the toddler years, kids can begin brushing on their own. Let them give it a good try, then follow up with them to ensure that all areas of their mouth are clean. As children age, they can take on more responsibility for brushing and flossing their teeth. That said, parents need to keep an eye on their brushing habits to ensure proper technique. Kids often go through phases where brushing their teeth falls out of favor, so parents must remain attentive even through the teenage years. What other services are part of preventive dentistry? During your visit, Dr. Larsen completes a thorough oral examination. In addition to looking for signs of tooth decay, he also has the skill and training to detect signs of more severe health issues. Approximately 50,000 Americans are diagnosed with oral or oropharyngeal cancer each year. Nearly 10,000 men and women will die from these diseases. Detecting oral cancers early is the most effective way to improve your chances of survival. Dentists play a crucial role in detecting signs of oral cancer. In many cases, changes in the tissues of your mouth are painless or appear to be minor. Dr. Larsen takes the time to check all areas of your mouth and notes the findings in your dental record. If he sees something that concerns him, he refers you to a specialist for screening. Far too many people postpone seeing a dentist. If it’s been a while since your last visit, schedule an appointment today for a thorough dental exam.